Mark Sanborn met his postman, Fred, just after he moved to Denver. Fred knocked on his door, introduced himself and welcomed him to the neighbourhood. He also asked Sanborn about himself and how he wanted his mail handled while he was away. Needless to say, Sanborn was shocked. He asked Fred more about his job and how he approached it. Fred's answers inspired him to develop motivational seminars promoting Fred's attitude and approach to life. To embody the Fred philosophy is to realise and practise that:--Everyone can make a difference--Success is built on good relationships--You must continually create value for others and it doesn't have to cost anything--You can reinvent yourself whenever you want. 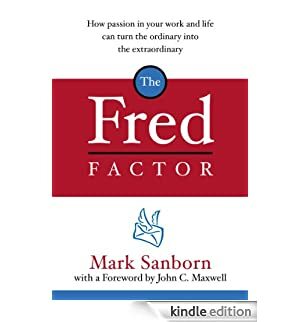 In this succinct and inspiring guide, Sanborn shows us how we can all truly make a difference everyday and become a 'Fred', as well as how to recognise, reward and attract Freds into our lives.